Have you ever heard of the acronym RSS or know what it really means? Well, let’s first get the basics out of the way before we dive into the tool, shall we? The origin of RSS goes way back in 1999, where it was first introduced on Netscape.com. RSS or rich site summary is a format for delivering the latest updates and content from various websites in one location. Now, what do we mean by that? Basically, it’s a news aggregator which maintains the latest information from different websites in one place and disseminates it in the form of a list for readers to consume, in what’s called a “feed reader.” Got it? Cool. Almost every website offers their content in an RSS feed. You would have probably seen an orange button with a wifi-esque symbol on it. Whenever you see the symbol it means that the website is RSS enabled. RSS Feed is not just useful for readers, it’s also helpful for website owners, bloggers, and content marketers who can generate more traffic by offering an RSS Feed of their websites. 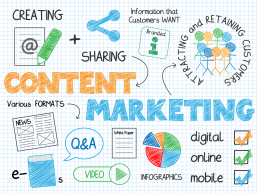 With millions of websites available today, the amount of good content out there is enormous. Unfortunately, you only have 24 hours in a day and it’s time-consuming to go back to your favorite websites to check whether it has something new and interesting. RSS solves this problem by giving you all the latest updates from your favorite websites in one place! RSS Feed is not just useful for readers, it’s also helpful for website owners, bloggers, and content marketers who can generate more traffic by offering an RSS Feed of their websites. The easier it is for websites to keep their content top of mind for their audiences, the more traffic they can generate. Ready to feed your RSS hunger? An RSS reader can be in the form of an app, a website, or an email newsletter. It works by pulling content from various news or content sources you have subscribed to via the app and presents it to you in a readable format with usually a thumbnail image, title, and brief description. For a while, Google fed the RSS hunger for information via its Google Reader, but much to everyone’s dismay they discontinued it in 2013. The Digg Reader has also discontinued it’s service early this year. However, there have emerged quite a few new players across the interwebs. So without further ado, let’s dive straight into our picks for some of the best RSS reader apps out there! If you are still miss the Google Reader and want a similar product, The Old Reader is the tool for you. This RSS reader came into existence at roughly the same time when Google decided to shut down its RSS reader and has gained some popularity. Like most RSS reader apps on this list, The Old Reader works by adding links to the websites or authors you want content from and letting the reader do the rest. You can also organize your content by interest to further segregate your reading list. The one place where The Old Reader really shines is its ability to mash up social sharing and reading. You can easily connect your Facebook or Google account with The Old Reader and see what your friends are reading or recommending to read (if of course, they too use the app). If you and your friends all enjoy reading the same types of content, The Old Reader makes it easy to share your recommendations with each other. Just connect your Facebook or Google account, follow friends who also have accounts, and The Old Reader will show you content recommended by your friends. Following friends on The Old Reader is a great way to discover new blogs, news sites, and content channels to follow. If you are looking for something to read, you can check out the “trending” tab and see what other users of The Old Reader are reading. Pricing: Free with ads for up to 100 subscriptions; Pro: from $25/year. If you are looking for an RSS reader app, there’s a high probability that you might run into Feedly. One of the most popular RSS readers out there, Feedly lets you organize all your favorite publications, podcasts, and even YouTube channels into collections and receive updates when new stories and videos are published. Feedly collects content from your favorite sites and packages it in a personalized magazine. This RSS reader gives you a single place for reading all of the news and content you need for powerful content curation. Users can even share articles they are reading to social media, and discover fresh, authoritative voices on niche and broad topics alike. However, Feedly packs way more punch than your typical RSS reader app. Upgrading to a Pro plan allows you to search your feeds, get Google Keyword Alerts, add notes and highlight content. Employees can use Feedly to collaborate on shared feeds, boards, notes, and highlights by upgrading to Feedly’s Team Plan. Feedly offers mobile apps for Android and iOS devices, so you can access subscriptions easily both at home and on the go. Next up on our list of awesome RSS readers is Inoreader. One of the most feature-rich RSS readers on this list, Inoreader provides users with a vibrant community of content curators. Users can easily discover their next favorite piece of content with Inoreader’s discovery mode, user-generated subscription bundles or broadcasting channels. Inoreader’s dashboard is a bit different than other RSS readers out there as it presents your content in a Trello card style manner. However, you can change the view by clicking the eye button in the top-right corner. Inoreader offers its users unlimited subscriptions for free, with the ability to search content quickly within the subscriptions (a feature which is often included in paid RSS readers). Most RSS readers allow users to save their content for a limited time but not Inoreader which allows you to keep your feed archived for however long you like. With an iOS, Android as well as Windows phone app, Inoreader provides you a great reading experience, even when you are on the go. Pricing: Free, Pro account starts from $14.99/year. A Pinterest for RSS readers, Bloglovin’ is a platform to keep in touch with your favorite blogs and publications and discover new ones. Aimed to be more like a social network than your typical RSS reader, Bloglovin’ lays out all your content in a beautiful Pinterest-esque card feed. Users have the option to like, comment and share content with their friends or add them to their own homepage. On top of the site are popular categories like Fashion, DIY, Beauty, Lifestyle, etc. which takes you to all the trending content in their respective category. If you get inspired by the content on BlogLovin’, you can even publish your own blog directly on the platform and share your awesome collections with others. Just like Pinterest, Bloglovin’ allows users to create collections based on their interest and add relevant links they find on Bloglovin’ to these collections. If you are looking for a fun RSS reader that not only gets your content in one place but also allows provides you with great recommendations, Bloglovin’ is a good enough platform to try! Imagine having a magazine of all the sources you have subscribed as RSS. Wouldn’t that be awesome?! Flipboard allows you to do just that, as it collects quality content you need and then presents it in a magazine format so that it is organized and looks visually appealing. Choose your passion and your feed will be curated with articles and recommended stories. You can also follow others who share similar interests. Flipboard offers a variety of tools like the Flip.it button which is essentially a web bookmarklet that allows you to directly bookmark articles, videos and the likes directly to your Flipboard magazine, a Flip share button which allows other Flipboard users to collect content from your website into their magazines, a magazine widget which allows users to embed a link to their Flipboard magazine on their website or blog, and a Flipboard profile badge for bloggers, partners and fans! In addition to the website, you can easily get your digital magazine via Flipboard’s Android as well as iOS apps, making Flipboard an awesome RSS reader. Manages interactions between apps, devices, and events automatically, giving you control over your corner of the internet. Even though Netvibes is a great platform for just about anybody who needs their content sorted, Marketers would definitely be Netvibes #1 fan. Apart from keeping marketers on top of all trends online, Netvibes also offers real-time monitoring, social analytics, mobile alerts, and systems integration in one place. By upgrading your dashboard to VIP or Premium, users can search for articles on any topic, connect their own data to the dashboard to analyze it all in one place, evaluate business metrics in their social context, and drag-and-drop charts to compare anything, instantly! If you are looking for simple RSS reader that has been around for over a decade and still get the job done pretty handsomely then Feedreader might be the tool for you. Feedreader Online like any other RSS reader app on this list, lets you read and organize news and updates from all your favorite websites in one place. It lets you check the news on the go, without hassle, personal data tracking or overwhelming functionality. 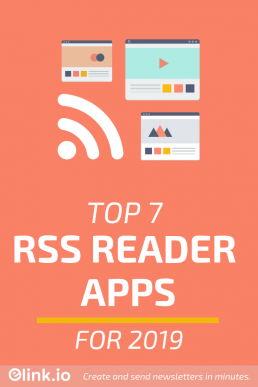 It is one of the most user-friendly RSS apps on this list. Users can create categories for different interests feeds, bookmark feeds, and use keyboard shortcuts to make the whole experience a lot quicker. Apart from the online reader, there is a Feedreader Observe tool that allows you to preview any site’s RSS digest before subscribing to it and also find more of worthy alternative news sources based on your own choice and interests. You can click ‘Subscribe’ button to add any source/site to your Feedreader Online account or check Feedreader’s special mixed feed tied to a set of sites, which are focused on similar topics. Feedreader Observe also features a few important analytical and user safety tools, which keeps you up to date with the reputation, availability, and attitudes of every site\source you might subscribe to. RSS has been around for quite a while. Even though we have seen a tremendous amount of technological advancements in the past decade, with news websites having their own standalone apps and social media keeping you ever satisfied with your content hunger, RSS is still going strong. You can’t really go wrong with any of the above mentioned RSS reader apps. If you have some other RSS reader apps to suggest, tweet us @bit_docs!